Wife, mother, breadwinner, homemaker . . . today’s women juggle a number of different roles. However, “having it all” — relationship, children, fulfilling career and more — can also mean having a few things you don’t want, such as stress-related illnesses. The good news is that you may not have to give up being a superwoman if you follow a few simple guidelines and stay connected to who you are. Download this Live Foreverish podcast episode for FREE on iTunes! 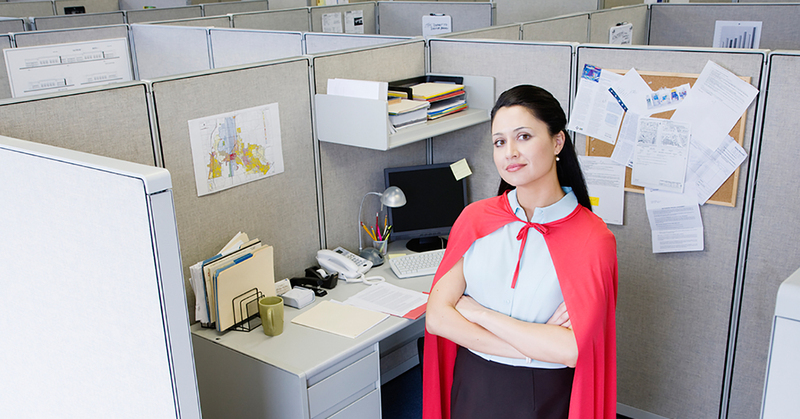 Is Superwoman a bad role model? Look — up in the sky! It’s a bird! It’s a plane! It’s Superman! Superman — iconic hero of comic books, movies and T.V. — is well known for his ability to charge forward determinedly above the crowds of the city on his latest mission, leaving onlookers in awe. "Faster than a speeding bullet! More powerful than a locomotive! Able to leap tall buildings in a single bound!" Over the decades of the character’s popularity, it hasn’t been unusual to hear children say that they wanted to grow up to be like Superman — or Superwoman. And when men or women attempt to emulate this fantasy role model, they’re likely to crash and burn. According to U.S. Department of Labor statistics for 2017, 70% of mothers with children that are under the age of 18 participate in the labor force, and more than 75% them are employed full-time.4 “I have been in my integrative practice for over ten years here in Atlanta, and I continue to be astounded and amazed by all the incredible women who are juggling and trying to put the pieces of their lives together,” Dr. Bhatia told Dr. Mike. When patients come to Dr. Bhatia seeking an understanding of how they arrived at their current health challenges, they often have an “aha” moment in which the nature of the problem and the need to pay attention to themselves becomes clear. The moment is so powerful, they find themselves wishing they’d had the revelation five or ten years earlier. Dr. Bhatia knows this from personal experience. She experienced the superwoman syndrome in her twenties. “The number one thing is for women to take the time to have a conversation with themselves, and understand their health and their chemistry,” Dr. Bhatia replied. She noted that women need to make time, even if it’s just five minutes, to forge that connection. Yoga, journaling, prayer or meditation are among ways of accomplishing this goal. Rule number two is not to dismiss one’s symptoms. Fatigue, pain, crying spells and other symptoms can be body clues that one’s life is imbalanced. It goes without saying that one should seek the opinion of a medical provider when experiencing these or other symptoms. Dr. Bhatia noted that many women need to find out what foods, exercises, supplements and sleep routines support them. A third guideline, according to Dr. Bhatia, is to know one’s “power type,” a tool that is described in her book, The Super Woman Rx.5 These five whimsically-named female types are based on responses to a questionnaire formulated by Dr. Bhatia in order to help personalize and guide health recommendations. As a physician, best-selling author, international lecturer, acupuncturist, certified nutritionist, prevention/integrative health expert, mother and wife, Dr. Bhatia sounds a lot like a superwoman herself. She believes that, rather being victims of the superwoman role, women can be empowered by it. “I have more energy today, in my forties, than I did back in my twenties because I know how to care for myself,” she said. Woods-Giscombé CL. Qual Health Res. 2010 May;20(5):668-83. Matuska K et al. OTJR (Thorofare N J). 2016 Apr;36(2):74-81. Sampasa-Kanyinga H et al. Prev Med. 2017 Mar;96:16-20. Bhatia, Tasneem. The Super Woman Rx. New York: Rodale Books, Crown Publishing Group. 2017. Print.